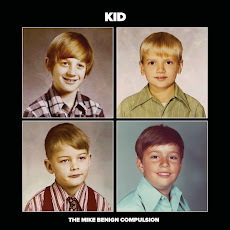 It seems The Mike Benign Compulsion is compelled to make new music. We spent the day Saturday in Madison tracking drums for what may very well turn into our fourth album. As always, drummer Michael Koch blended German precision with tasteful ornamentation, knocking out the bones for nine new songs in a little more than four hours. Well done, Mike!